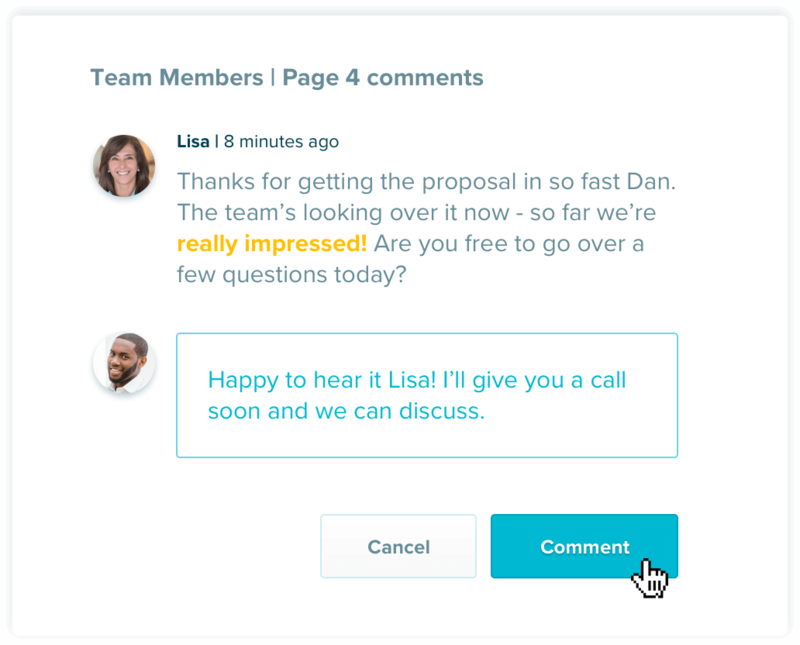 Proposify streamlines your proposal process from creation to close and every deal-making moment in between. It’s the best hire you’ll make this year. Less is more when it comes to admin time. 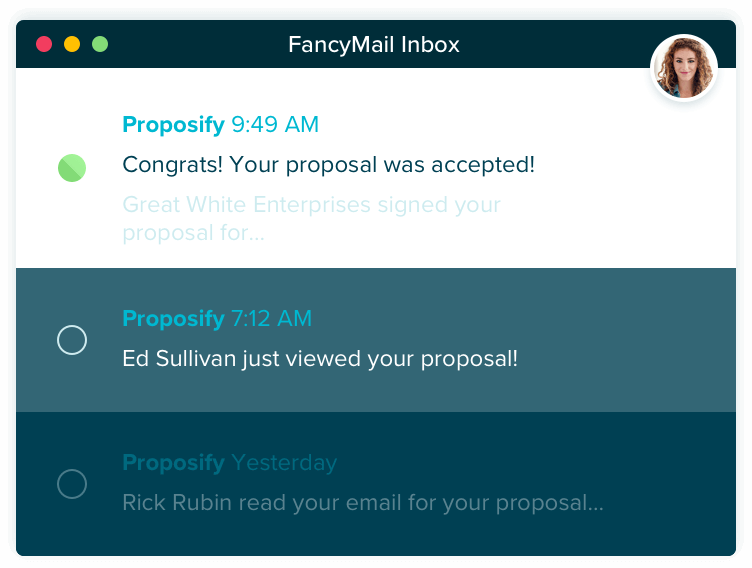 Proposify improves sales productivity so your team spends less time creating proposals and more time selling. 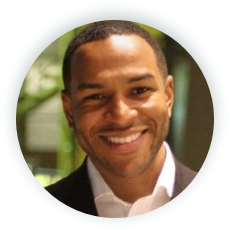 Stop reinventing the wheel with every proposal. Set the standard by creating templates your sales reps can use again and again, customizing the details for their next big deal. Don’t waste time hunting for past content. Our content library keeps everything your team needs organized in one place so snapping together proposals takes minutes. Use variables to automatically swap out your client’s name and other specifics relevant to each proposal. Plus, custom fields eliminates the tedious task of entering all the proposal particulars - just fill out the details, and it populates your proposal. 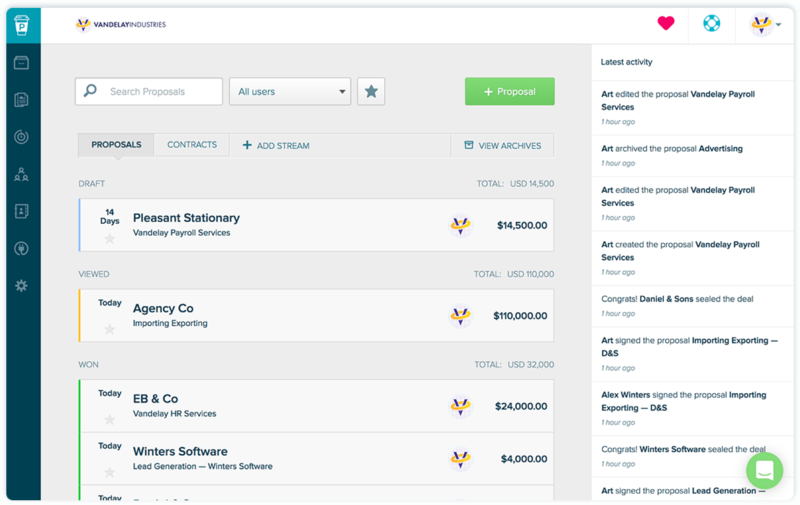 Proposify integrates with your favourite business apps so you can improve your team’s efficiency by syncing your CRM, invoicing, and project management tools. Tick tock. Every day that your team doesn’t close a deal is one more day that deal can go cold. Proposify makes it easier and faster to get the green light and get down to business. 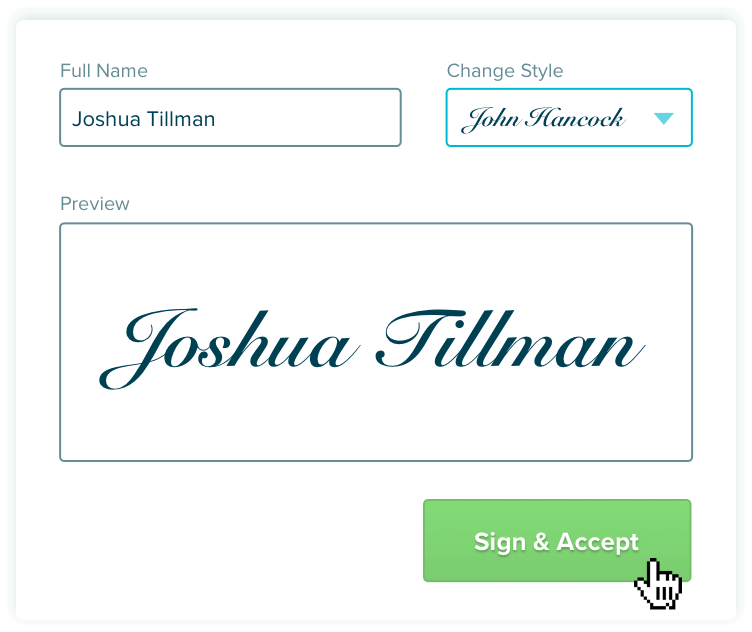 Our easy-to-use online signature tool lets clients sign proposals right away, right in the browser, from any device. Add a signature line for your client and anyone on your team. Each signature is also legally binding to protect everyone’s best interests. Waiting can be hard, especially with a big deal on the table. 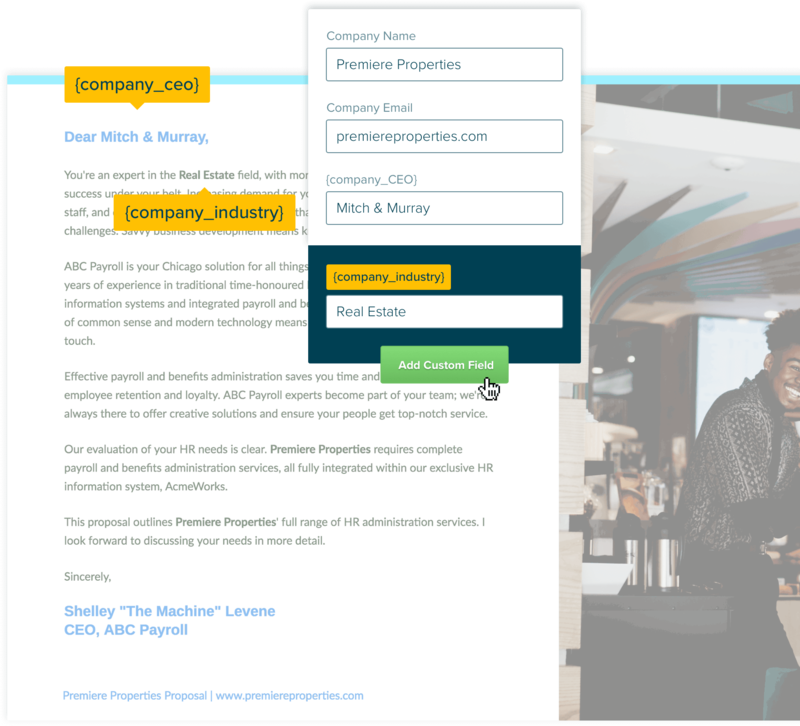 We notify each of your sales reps as soon as their client opens their email, clicks the proposal link, comments on anything, and (most importantly!) accepts the proposal. Most deals don’t close by themselves; sometimes they need a little nudge to stay top of mind. 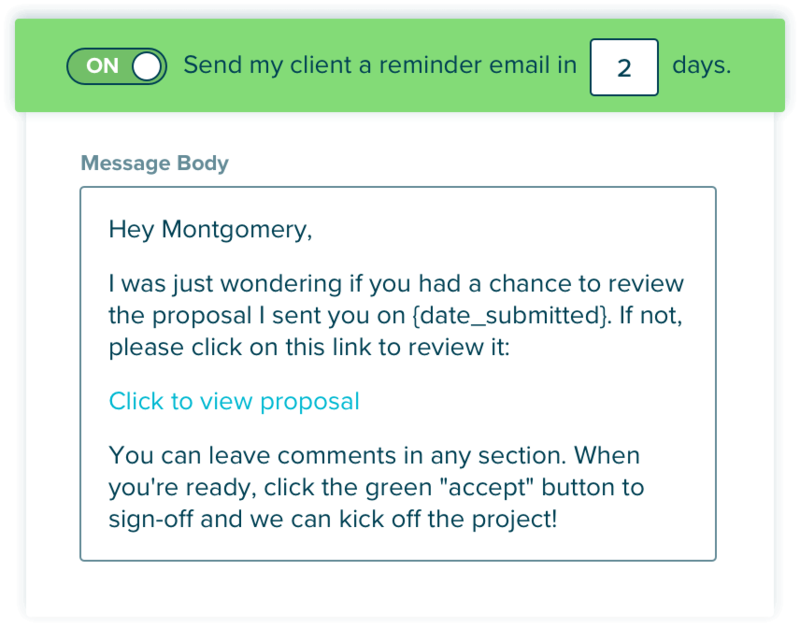 Schedule a friendly, automated reminder email to go out if the client hasn’t viewed a proposal after a certain amount of time. 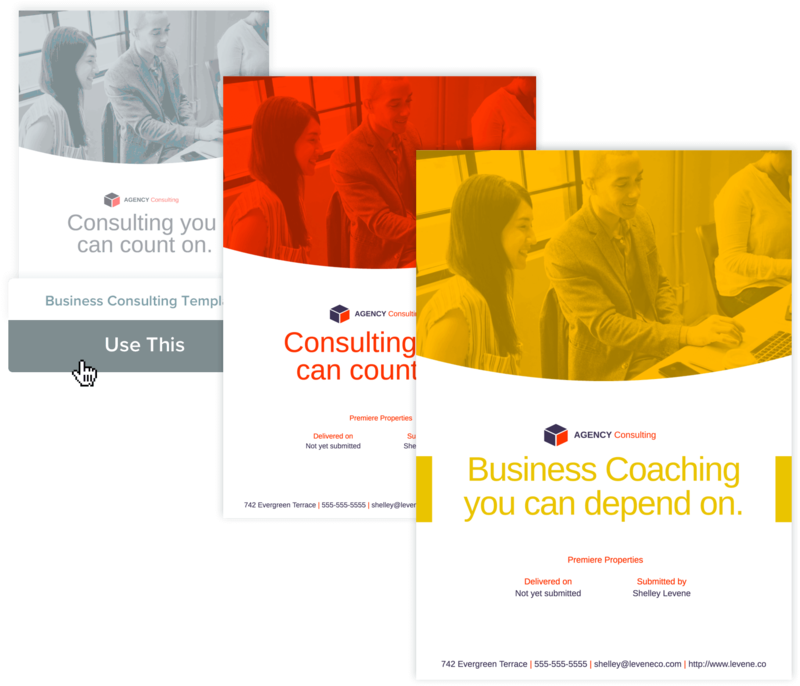 We’re in it to help you win it, so we make it easy to design professional-looking, on-brand proposals that leave your competition in the cold. 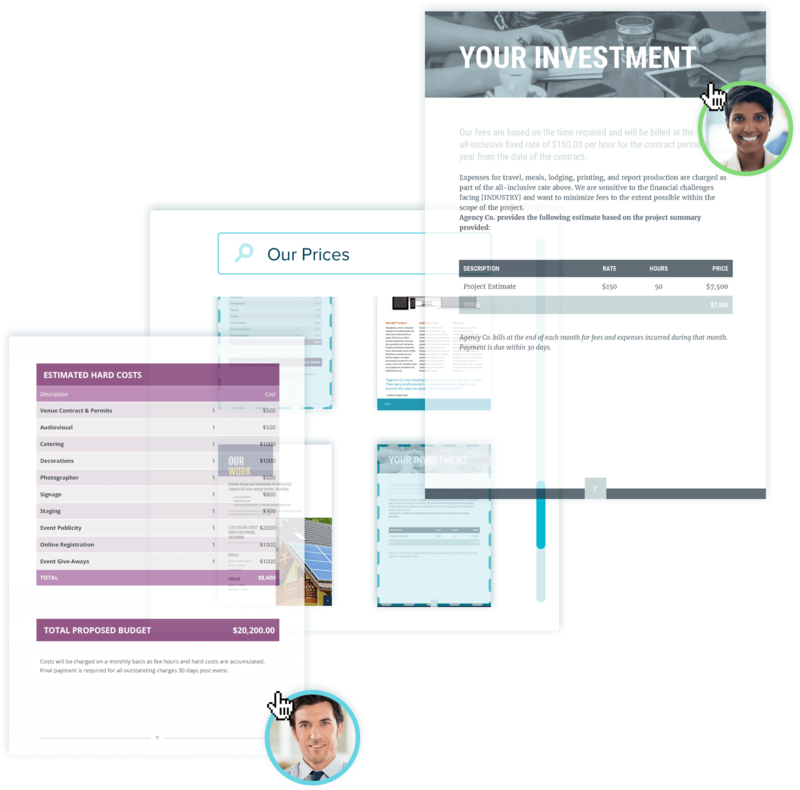 Proposify helps you look like a rockstar, turning your clients into number one fans. Since we started using Proposify, our jobs close rate has literally tripled! Even our clients comment on how sharp our presentations and estimate proposals look using Proposify. 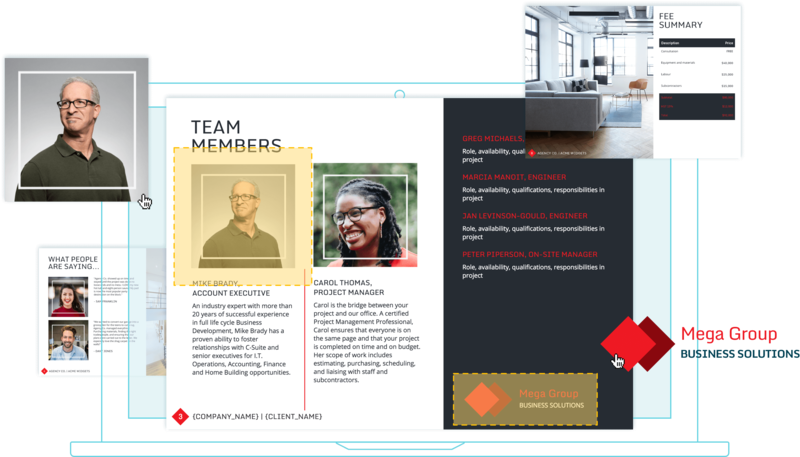 They certainly match the professional persona we project.